Cunard Line is a traditional luxury cruise line that grew out of a long history of ocean lining. Once a global leader in transatlantic transportation, today the line caters to a niche audience of passengers looking for an authentic experience. Cunard's three ships are named after British royalty, and they are built more like ocean liners than cruise ships: sleek lines and strong hulls make them perfect for crossing the choppy Atlantic Ocean at all times of year, but the staterooms, dining and amenities are all an improvement over those of historical ocean liners. The practical design also makes the Cunard ships perfect for grand voyages and world cruises to exotic destinations around the globe. Tradition-minded adults and history buffs alike will be delighted by the Cunard cruise line. Elegant ship interiors, white-glove service, and a tiered class system will make you feel like you're in the golden age of ocean travel, but onboard Wi-Fi, flexible dining, and a state-of-the-art wellness facilities provide all the comforts of modern times. The formal onboard atmosphere mainly attracts sophisticated adults, though summer sailings are more family friendly. The majestic Queen Mary 2 provides everything one would expect of a classical cruise liner. The Queen Mary 2 is a display of pure class with stylish interior providing you with comfort for your cruise. 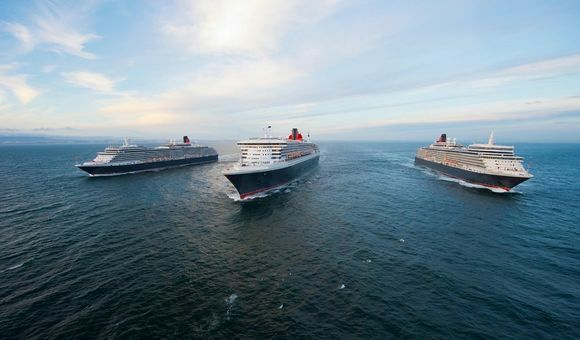 The Queen Elizabeth is the newest addition into the Cunard fleet, boasting modern and exceptionally equipped cabins. On board you will find fantastic entertainment and facilities. Cruise like royalty in the unique and luxurious ambiance on board the Queen Victoria. Explore her wood-panelled library, the museum at sea and the Royal Court Theatre with its extraordinary show programme.